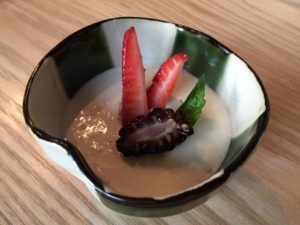 Masayoshi is located in the calm neighborhood of Fraser Street in close proximity with the popular culinary hot spot with the likes of Ernest Ice Cream and Bows and Arrows. 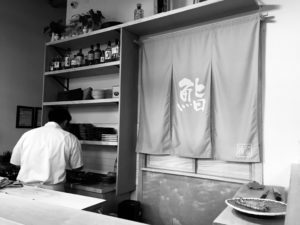 When Masayoshi open, Chef Masayoshi Baba took Vancouver Japanese cuisine by storm with his traditional Japanese Omakase menu. 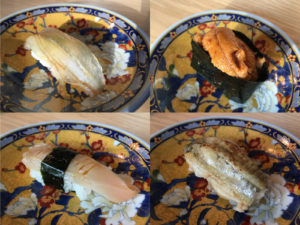 With almost 20 years of experiences, Chef Masayoshi Baba uses many different cultures’ cooking techniques to uncover the “Umami”- one of the fundamental savory taste, from his ingredients, often requires perfect timing and precise seasoning. 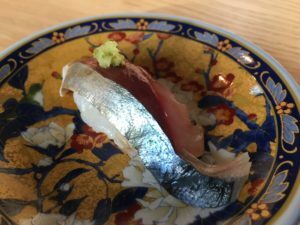 A frequent winner of restaurant awards, Masayoshi is the recent winner of 2018 Vancouver Magazine Restaurant Awards in the Japanese Restaurant category. 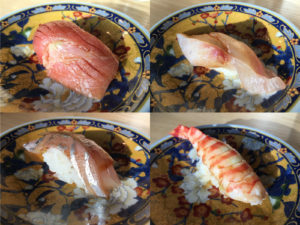 For the Nigiri Omakase menu, customers have the privilege to sit front row and center at the chef’s counter. Sit back and enjoy the culinary magic as the journey unfolds with every unique piece of special nigiri sushi freshly prepared for you from the chef right to your plate. Although it might not be common in Japan to speak “thank you” to the chef during an Omakase menu sitting, I did it anyways, just because the food is too good I just can’t help it. Masayoshi has a great selection of sake both local and import. We tried a cold Masumi Junmai Ginjo Kichifuku Kinju that has a fresh and sweet palette. We were surprised when we were given a tray of beautifully crafted sake glasses to choose to use. We chose colour coordinated white and blue to represent the beautiful summer weather. This refreshing appetizer has a savory and tender baby squid on top of a bed of perfectly cooked vegetables. The creamy dressing adds to the “melts in the mouth” texture. 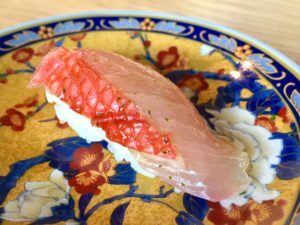 This is the perfect opening dish to our 16 pieces of Omakase nigiri sushi journey stating what’s to come: perfect cooking, fresh savory taste and unique culinary experience. We decided to go for the 16 piece Nigiri Omakase menu. We were sat right in front of Chef Masayoshi Baba and for the next 2 hours he crafted unique nigiri pieces for everyone at the privileged counter. 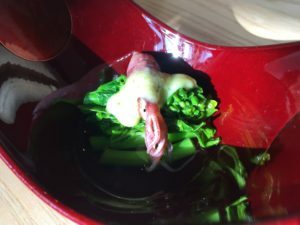 A bowl of fresh and flavorful miso soup was served in the middle of the tasting menu. This is a thicker miso soup with additional ingredients. A good etiquette in drinking miso soup properly is to NOT use chopsticks to stir the ingredients. Drink the soup, and at the end if you need to you can then use chopsticks eat the ingredients. 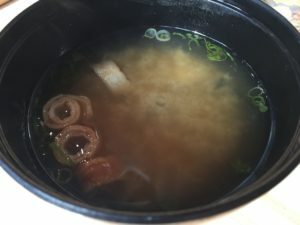 A good bowl of miso soup should be at just the right warm temperature and the ingredients should be easy enough to move around without sticking together. This is exactly the type of miso soup served here, delicious and done just right. 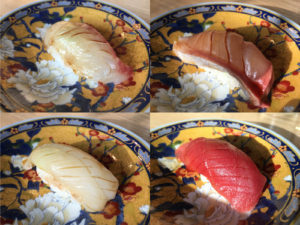 Masayoshi is a Ocean Wise partner, an initiative to serve sustainable seafood that contributes to making the ocean ecosystem a better place for all aquatic species. The magic is in every detail. Every piece is its own story. Only the seasonal finest gets picked to be featured in the Omakase menu. 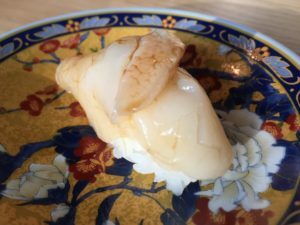 For example, the entire piece of sweet juicy meaty scallop, a particularly smooth section of Saba, the diagonal cut of a piece of Tai, and more. Each of the 16 pieces were carefully paired with specific seasoning to enhance the already superior ingredient quality. 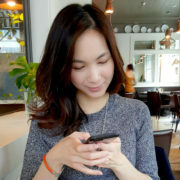 I was particularly in love with the Eel piece. At Masayoshi, this piece is fresh, clean and just as it is, revealing its original texture and savoury taste. Cooked to perfection, it is juicy, tender and delicious. Who knows underneath all of those usual heavy brown “eel sauce” is a refreshing beauty on its own when done with passion and experience. Their finishing dishes are the soft Japanese style egg and their creamy special dessert. The egg is so fluffy and soft, almost a cake like texture. 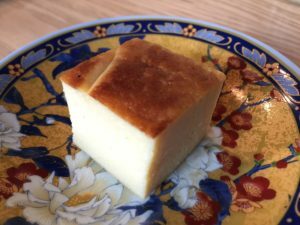 The dessert a very refined and smooth creamy cheese style dessert. Both were light and refreshing, just the right amount of refreshment after an exciting tasting menu journey. Service: Traditional Japanese style professional. 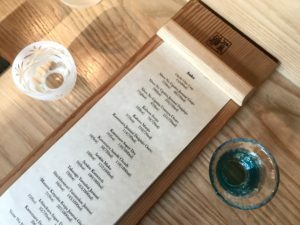 A note on the sake: traditionally a person cannot pour his/her own sake. The service staff came and poured sake for us whenever we emptied our glass. Don’t be alarmed if they come do that frequently. 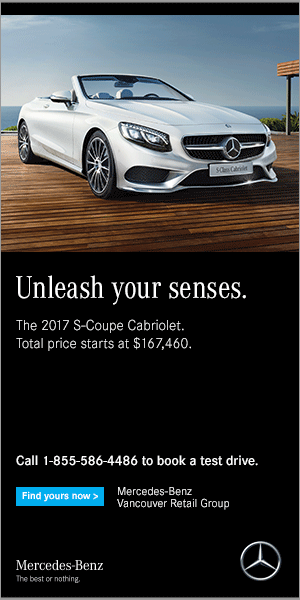 I have to say it is truly an unique experience. It is a showcase of the strength and knowledge of the chef and his team, their passion to serve only the finest and time after time they proved they are the finest. I recommend skipping a couple nights of going out for other Japanese cuisine and then visit Masayoshi. Pay attention to each piece: colour of the fish, the way it is pressed, the accompanying seasonings, and really take the time to enjoy each piece.